If a worker in Massachusetts is in involved and hurt in a workplace accident, their injury might prevent them from working. The injured employee has a right to workers’ compensation after being hurt on the job. In many cases, however, the employer’s workers’ compensation insurance carrier may deny their claim or pay the employee less than they are entitled to. When this happens the injured worker may need to hire a workers’ compensation attorney. But, if the employee is out of work and not earning wages, how does he or she pay for a workers’ compensation lawyer? This is a great question and one that we hear on almost every workers’ compensation case we are hired to handle. The good news is that the Massachusetts Workers’ Compensation Act makes hiring an attorney possible even if the injured worker is unable to work and has no money. In Massachusetts, the workers’ compensation laws direct how and how much a lawyer is paid for representing an injured worker. These legal fees for the employee’s attorney are the only legal fees that are allowed to be charged under the Workers’ Compensation Act. The employee’s attorney is retained on a contingent fee basis. This means that the attorney does not get paid until the case has been decided and the employee is successful. How much and who pays the attorney fees depends on what stage of the workers’ compensation process the claim reaches. The law sets a predetermined fee for each level or stage of the workers’ compensation claim. An injured worker’s lawyer may request a retainer for reasonable and anticipated expenses in representing the injured worker, but only if the employee and the lawyer agree. Typical expenses include the costs of ordering medical records, obtaining a doctor’s narrative or report, fees for interpreters, and deposition costs. If a retainer for expenses is not required, the injured worker’s lawyer can be reimbursed for any expenses if successful at certain stages of the claim or at the end of the claim. At Mahaney & Pappas, LLP, we do not require retainers from injured workers for expenses. We will pay the costs and expenses of representing an injured employee and will be reimbursed upon the employee winning his or her case. Conciliation: If an employee is injured on the job and the employer’s insurance carrier refuses to pay compensation or pays less than the injured worker is entitled, the employee can retain an attorney to file a claim. The first step in an employee’s claim for workers’ compensation is the Conciliation. If the insurance company agrees to pay benefits at the Conciliation, the workers’ compensation laws state that the insurance company shall pay the employee’s attorney a specific predetermined amount. Conference: If the employee and the insurer are unable to resolve the employee’s claim at the Conciliation, the case is referred to an administrative judge. A Conference is the next stage of the claim and is held before the administrative judge where both, the employee (through his attorney) and the insurer are allowed to present medical documents and argue their respective positions. If the employee and his or her lawyer are successful in obtaining a Conference Order from the administrative judge awarding benefits, then the judge will also order the insurance company to pay the employee’s attorney a predetermined legal fee and also order the insurer to also reimburse the attorney for any expenses incurred in representing the injured worker. In some situations, however, the judge can order the employee to pay a portion of his or her attorney’s fee. In that case, the insurance company usually pays the legal fee and then takes a portion of that fee from the first thirty days of the employee’s benefit checks. Hearing: If either party, the employee or the insurer, appeals the Conference Order, the next stage of the workers’ compensation claim is the Hearing. The Hearing is an evidentiary hearing where the employee and other witnesses testify. If the employee is successful in either defending or pursuing the claim, the judge will order the insurer to pay the injured worker’s attorney a predetermined legal fee and reimburse the attorney for any expenses. An employee’s attorney is entitled to these predetermined legal fees if an employee is receiving benefits and the insurance company files to either modify or discontinue the benefits and the insurance company loses. If the employee loses their case, their lawyer does not earn or receive a legal fee, but can seek reimbursement form the worker for the reasonable expenses the lawyer paid to represent the injured worker. If an employee’s attorney is able to negotiate and obtain an agreement for a lump sum settlement for his or her client and the settlement is approved by a judge of the Department of Industrial Accidents, then the lawyer is paid a certain percentage of the lump sum amount. The percentage is set by the Workers’ Compensation Act and is either 20% or 15%. If liability is established by way of a Court Order or by an agreement of the employee and the insurer, then the injured worker is entitled to a legal fee equal to 20% of the gross lump sum settlement amount. If, however, a lump sum settlement is reached before liability and the insurer’s responsibility to pay future medical benefits is established either by a Court Order or by agreement, then the injured worker’s attorney is entitled to a fee of 15% of the gross lump sum settlement amount. 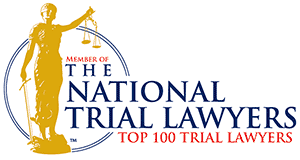 What About if There is a Third-Party Personal Injury Lawsuit? In the case where the employee is injured on the job, but the injury was caused by a negligent third party, the injured employee may pursue a claim for workers’ compensation and seek compensation from the negligent third party in a personal injury lawsuit. If the injured worker files a third party personal injury lawsuit, he or she will normally retain the personal injury attorney (which can be the same lawyer handling the workers’ compensation claim) on a contingent fee basis. This means that the attorney will be paid a percentage of any settlement amount or verdict. The attorney fee, however, is contingent upon being successful in the case. The injured worker and the attorney on the third party personal injury case must have their Contingent Fee Agreement in writing and signed to be enforceable. These agreements for third party negligence cases are outside the scope of the Massachusetts Workers’ Compensation Act. The legal fee paid under the Contingent Fee Agreement for the third-party personal injury lawsuit is in addition to any fees earned on the workers’ compensation claim. Here at Mahaney & Pappas, LLP we have represented many injured workers and understand that if you have been hurt on the job and are unable to work and earn money you probably have a lot of questions. You may be wondering how you are going to hire and pay for a lawyer to represent you in your work injury case. If after reading this article you still have questions, feel free to call us at (508) 879-3500 or contact us online. We offer free, no-obligation meetings and case evaluations. At the meeting we will discuss the legal fees, expenses and the workers’ compensation process in Massachusetts. 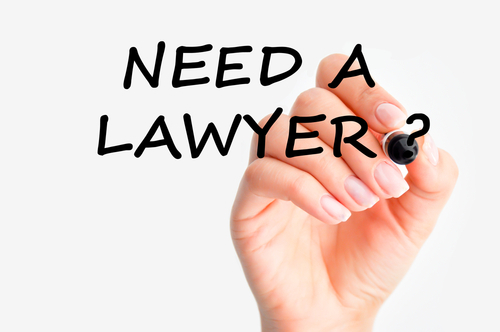 We will also evaluate your case and let you know what your legal rights and options are. We look forward to hearing from you. An injured worker gets the compensation he deserved and explains his satisfaction with Attorney Charles Pappas. Posted on 10/25/2018 What is the Massachusetts Department of Industrial Accidents (DIA)?